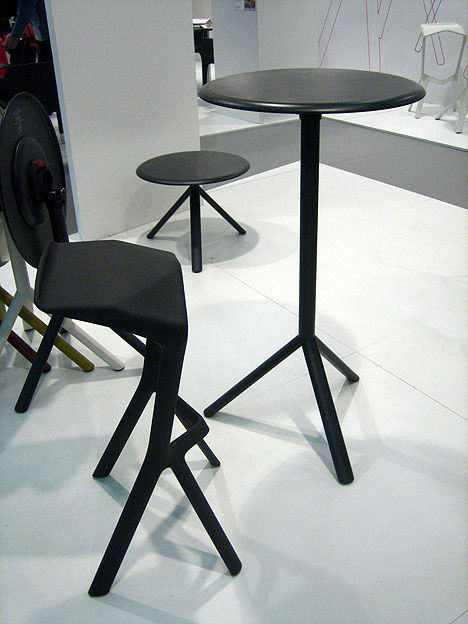 To keep company with the Miura Stool, Konstantin Grcic has now designed the Miura bar table. 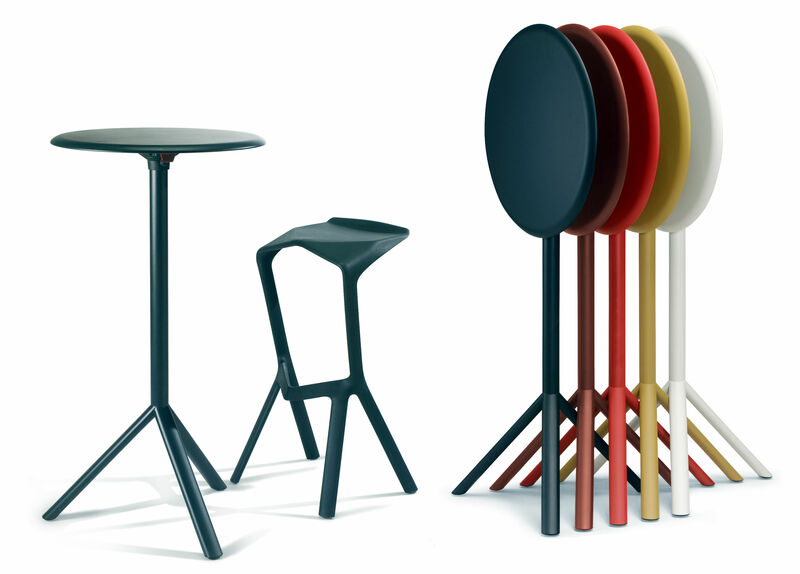 Like the stool, the table is stackable. 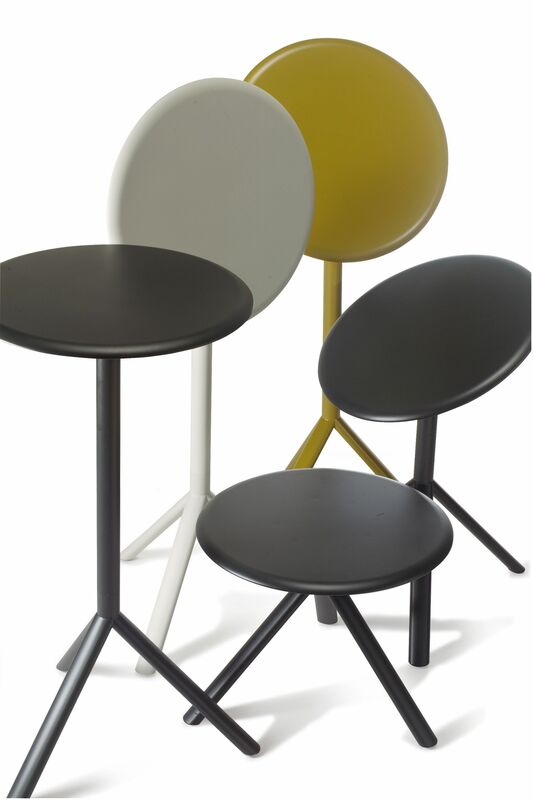 It stands on tripod legs and the top folds down, allowing for multiples to nest into one another. For home and also for bars and restaurants.